Without our team of expert captains and crew members, Cruz Bay would be, well, just a bunch of boats waiting to set sail. Dive into this behind the scenes look at one of our fan favorite captains, Brent Fox. 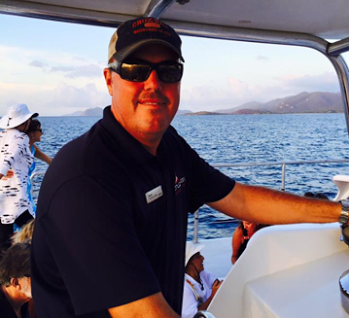 Originally from Florida, Brent has been sailing with Cruz Bay for three years now! Brent immediately fell in love with the Virgin Islands when he first vacationed here with his family many years ago. As Brent says, “the vacations kept getting longer” until his last trip to the Virgin Islands never ended and he became an official “local”. Brent grew up on the water, sailing and fishing off the coast of Florida. Occasionally, in an attempt to break up the daily grind of his nine to five job, Brent would captain yacht deliveries. 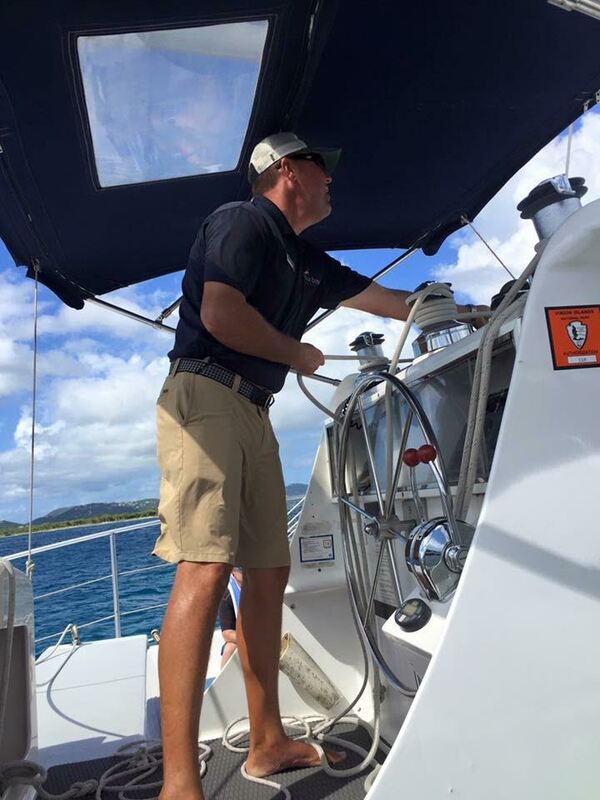 His past experience as a yacht captain, and his development of fins at a young age made the decision to move to the Virgin Islands that much easier when he had the opportunity (and also made him a great addition to the Cruz Bay family)! In his free time, this charter captain enjoys island hopping around both the US Virgin Islands and the British Virgin Islands and says he has visited almost every island in the Caribbean. Brent says that of the islands, “St John is far and away my favorite. The natural beauty of our water and the Virgin Islands National Park is unbeatable!” At night, Brent goes to The Beach Bar in St. John to listen to live music and relax. Fun Fact: The Beach Bar hosts live music from local bands almost every single night! On the water with Cruz Bay, Brent says his favorite thing about his job is meeting guests and spending his days out on the water showing guests the paradise he fell in love with. His favorite Cruz Bay trip is to Jost Van Dyke. 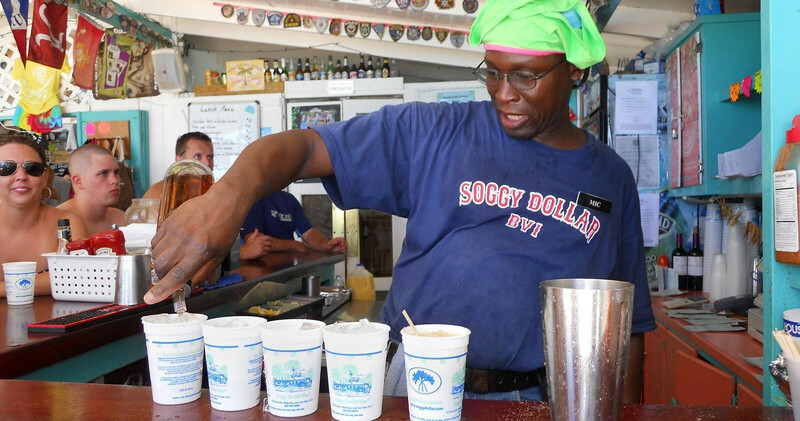 “It’s a nice relaxing beach bar day on one of the most beautiful beaches in the world,” and he adds, “the painkillers at Soggy Dollar are delicious too!” Painkiller cocktails are the Caribbean go to for most beach bars, but the first ever painkiller was made at Soggy Dollar bar! One piece of advice that Brent likes to offer up to his guests is “what happens at Willy T’s, stays at Willy T’s.” If you aren’t sure what he means, you might have to go check it out for yourself! One guest said, “Captain Brent and his crew all went out of their way to make sure everything was spot on for both of our charters.” Book your day trip or private charter with Cruz Bay today, Captain Brent or any of our other knowledgeable captains and crew will always make sure you have a unique and unforgettable experience in paradise!